Secret Empire of Hydra takes over the world and all the X-Men in Xavier Institute goes under lockdown. In Central Park, a badly scarred Piotr Rasputin is sitting next to Kitty Pryde while the rest of the X-Men were playing baseball. They were talking about his recent injuries sustained during their fight over Manhattan against Alpha Sentinel. It was so severe that it made him turn back to his human form and now he cannot turn to steel anymore. Rachel Grey kisses Kurt Wagner to return his feelings for her, which she felt when she was unconscious at Infirmary after taking out a Nanoswarm. Anole came in rushing to tell that something strange is happening outside. Doctor Strange appears on hologram to inform them of a Darkforce Dimension dome covering the city. An assassin is hunting down mutants with a deep personal vendetta, going by the name "X-Cutioner". 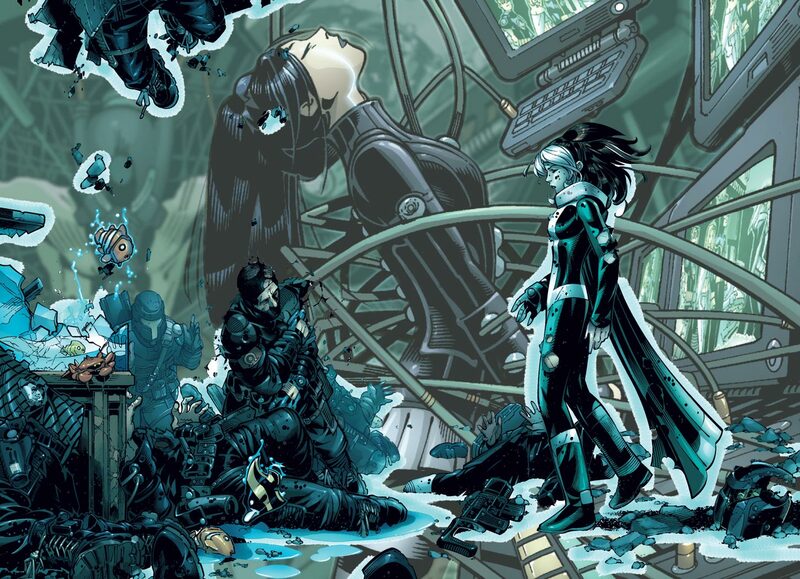 Inside X-Mansion, one of the new students named Belén was found dead by a gunshot on her head and a cross on her face. Kitty deduces that this is anti-mutant serial killer that Logan and Ororo have been investigating for some time. After killing another boy named Oscar, the killer picks up Eye Boy and as he was about to get the drop on him, Shadowcat kicks him in the face. Prestige tries to take him out while Piotr moves Trevor away. He quickly came back to help them take down the assailant only to get shot in the face, which Rachel deflects back to him. Dust and Rockslide discovers huge amount explosives in Danger Room while looking for X-Cutioner earlier. As Kitty is informed she phase Piotr and Rachel through down with her to defuse the bombs but realizes that she can't. The mansion is quickly evacuated and Kitty goes back to the killer to find a disarming trigger. Old Man Logan and Storm goes out seeking people in need of help and the former jumps into an alleyway to save an old woman from a demon. After he gutted it down, another one came out from the shadows and seriously injured him before meeting his fate. Nightcrawler faces an angry mob that chases him because of his appearance. Shadowcat confronts X-Cutioner once again upon saving Pixie from his clutches but gotten depowered by a remote trigger he holds. Turns out, he has a personal vendetta against mutants for losing his family and pulls the trigger but Pete took the bullet before Santo Vaccarro knocks him out cold in time to save their home from blowing up. Afterwards, Kitty and Pete heads for Washington, D.C. to meet the Congress about Mutant Deportation Act, where Anton Vanko AKA Whiplash made a break for it. He is taken down and despite their role in saving lives, the act progress further. 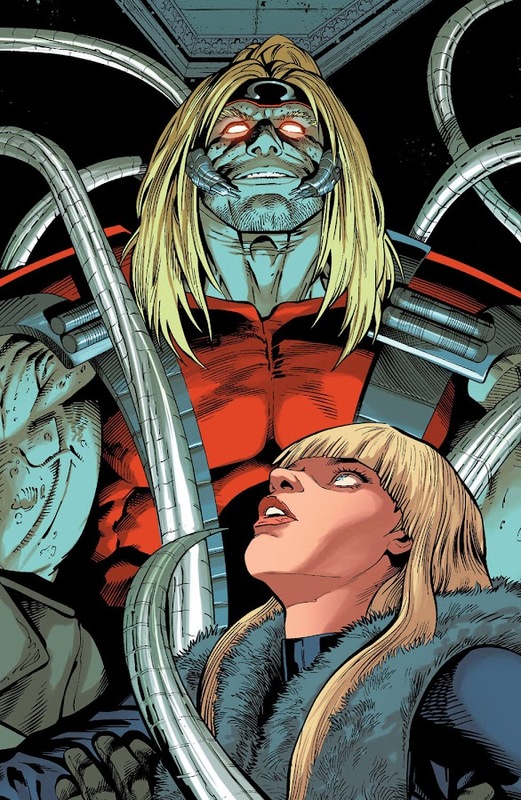 In Russia, Viktor Komolov of the Solntsevskaya Bratva collects the remains of Arkady Rossovich from The Hand in an attempt to resurrect the Soviet super soldier, Omega Red. Through black magic ritual, he even managed to revive Red but his body was still decaying and he needed to constantly feed on people's life energy to live. The X-Men are tipped off about Omega Red's rebirth and they all fly to Russia for the Red Death to come at him. They realized that they have been lured there so that Komolov can use Magik' power to keep him alive forever. Colossus regained his armored form just in time and Logan gets a rematch with Arkady after quite a long time. Here is your links to buy "X-Men Gold – Evil Empires" from Marvel Comics in issues on Amazon. Here is your link to buy "X-Men Gold – Evil Empires" from Marvel Comics on Amazon. X-Men Gold second monthly series follows its second arc in "Evil Empires" that collects issues #07-12 from Marvel Comics by writer Marc Guggenheim (Civil War – Wolverine, Extraordinary X-Men – IvX) with aid from artist Ken Lashley (Black Panther – Deadliest of the Species, X-Men Gold – Back To The Basics), Lan Medina and Luke Ross. 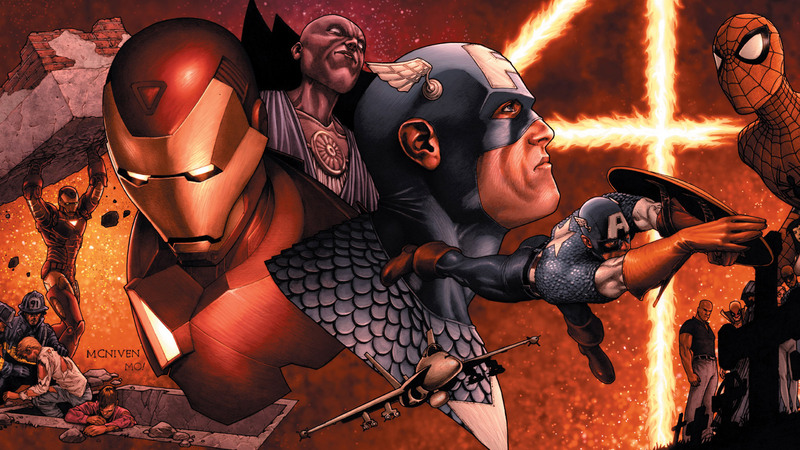 Aside from being a storyline of its own, "Evil Empires" served as one of the many tie-in stories to "Secret Empire" crossover event. Also, Colossus and Shadowcat bonds together once again in between these adventures, which would eventually come to a conclusion in "Til Death Do Us Part" story after a generation long period. One of the survivors of a Magneto attack in past, who lost his wife and kid to the madness of the megalomaniac becomes a problem for them. The final issue shed lights on the backstory of another newly introduced villain named Kologoth Antares and how he came to join the newly reformed Brotherhood of Evil Mutants by Mesmero. Another old villain who used to antagonize Wolverine in general; Omega Red is back again but he tussled with a different version of Logan. The Gold team along with the Blue team of X-Men will join forces to fight back an enemy from past; Mojo from pocket dimension Mojoworld in upcoming "Mojo Worldwide" arc next. Long before Professor Xavier started training his mutant students, X-Men were always feared by humans unlike other heroes from teams like The Avengers or Fantastic Four. With their recent war with The Inhumans, that phobia has returned again to cause mass hysteria. 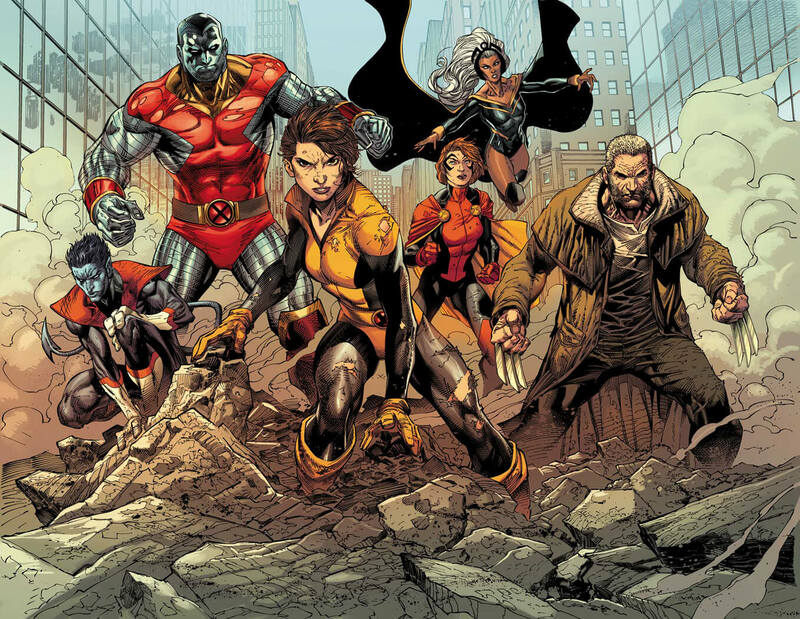 Forming a new team with Colossus, Nightcrawler, Old Man Logan, Rachel Grey as Prestige and Storm, Kitty Pryde leads X-Men as their current leader to stop an attack from Terrax the Tamer. Rachel was hoping for an Avenger or Champion member to show up but Logan asks for their leader's instruction. It took all of their effort just to defeat Terrax and considerable amount of property damage. Upon defeating him with some solid team-work, Kitty talks to civilians present at scene about earning their trust back again and develop a positive image for their race but no one is ready to listen to them. Back at home, On top of that, they received an invoice from New York's City Register for a lease on Central Park, where Xavier Institute is currently situated. Ororo and Kurt argue about whether situation has improved for them or not, while Rachel practices in Danger Room alongside Armor and Rockslide. Piotr was asking Katya if she is up for having dinner together but she points out how noting is as simple as that between them. Their little talk is suddenly interrupted when the new Brotherhood of Evil Mutants attacks the city and they had to run. 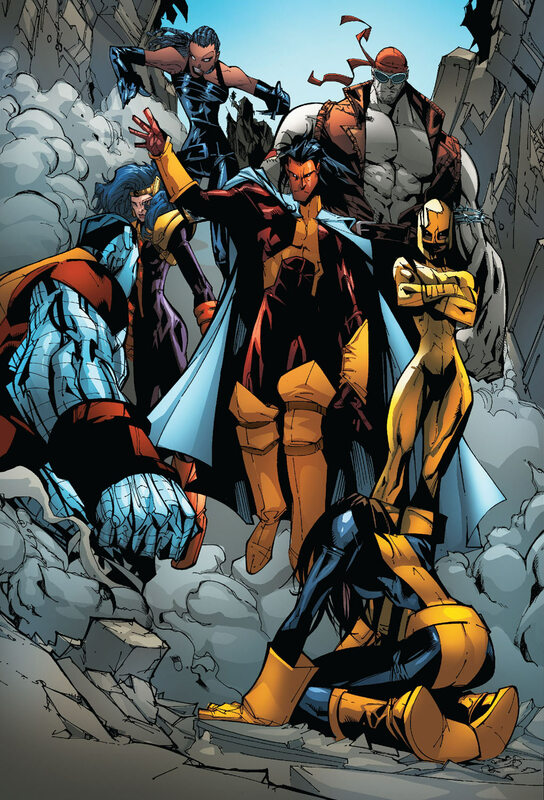 At United Nations building, X-Men confronts newest Brotherhood members Avalanche, Cleevus, Magma, Masque and Pyro. Logan is badly burnt by former ally Magma, as they tried to talk her out and then quickly taken away by Kurt to safety, where they both stumbled onto one of their old enemies; mutant hypnotist Mesmero. He sends Kurt away using his regained power and took Logan to his secret hideout. Rest of the team was defeated by remaining X-Men members but all Brotherhood members fled to avoid arrest. Director Lydia Nance of Heritage Initiative was already commenting about a Human/Mutant race war on public media and then mayor of New York gets kidnapped by the Brotherhood. There is a large hidden agenda at play that X-Men later discovers and takes care of. Meanwhile, a mercenary is hunting down mutants in New York City with a deeply-rooted personal vendetta. Elsewhere, mutant thief and occasional X-Men member Gambit took a job to steal a secret nanotech from a secret lab for an anonymous buyer. Upon learning Olivia Trask has hired him and it was a swarm of self-replicating nanites, he chooses not to deliver. Which eventually caused a stir among two parties and accidentally the nanites became a self-aware Sentinel by merging itself with nearby available computer systems. It quickly overpowers Gambit, then upgraded itself by evolving and engaged all other heroes to create a city-wide havoc. Here is your links to buy “X-Men Gold – Back To The Basics" from Marvel Comics in issues on Amazon. Here is your link to buy “X-Men Gold – Back To The Basics" from Marvel Comics on Amazon. Following "Death of X" and "Inhumans Vs. X-Men" event, world has started to hate and fear mutants once again like all those years ago. 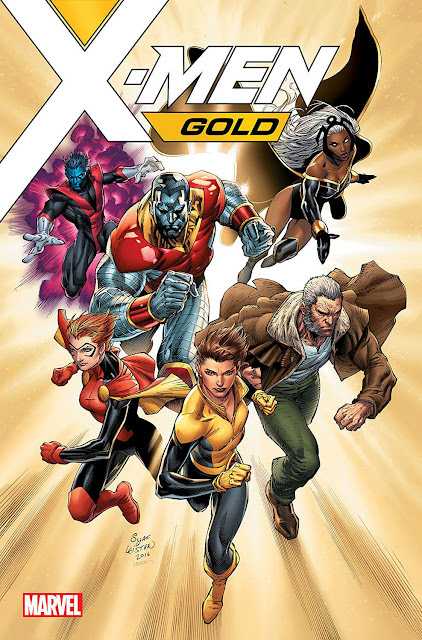 To keep Xavier's dream alive, Kitty Pryde forms X-Men Gold team to lead mutant heroes towards modern threats. Collecting issues #01-06 of X-Men Gold second ongoing monthly series from Marvel Comics, this storyline is conceived by writer Marc Guggenheim (Blade – Sins of the Father, Blade – Undead Again), who was assisted by artists Ardian Syaf (Batman & Superman – Siege, Flashpoint – Emperor Aquaman) and R. B. Silva (Nova – After Burn, Spider-Man & The X-Men). For first story arc of the series, "Back To The Basics" contains quite a lot of actions and final issue features cameo appearances of Captain Marvel, Daredevil, Deadpool, Human Torch, Ms. Marvel, Nova, Rogue, Squirrel Girl and Totally Awesome Hulk from teams like Champions and Uncanny Avengers, all fighting against a brand-new Sentinel threat that Gambit mistakenly unleashed. For many who do not know, a controversial move by Indonesian artist Ardian Syaf to include hidden political and religious messages in first issue led Marvel to fire him in disciplinary action. Storm assembled an all-new, extraordinary team of X-Men where she wants Old Man Logan and young Jean Grey to join. When Thanos came to Earth last time, he came looking for his illegitimate son and had a clash with Black Bolt, the King of Inhumans. The latter detonated a Terrigen Bomb that not only destroyed New Attilan but also left Terrigen Mist in the atmosphere. However, it drastically increased their number while also severely affecting the lives of mutants. Following this event, X-Men leader Cyclops have gone totally nuts and tried to start a mutant "Revolution" for dominance with a few of his radical followers who had the same belief. This irrational act eventually went horribly wrong for everyone and years of working to improve their public image by Professor X is completely ruined within moments. Now, veteran X-Men member Storm finds herself with a burden on her shoulder to save her own race without the guidance of her mentor and former leader, Professor Charles Xavier. With the worldwide spread of Terrigenesis, humans and mutants are both dying from its exposure that causes what they are calling “M-Pox” or "X-Pox" these days. As a result, the age old fear of mutants among humans has re-emerged once again. Meanwhile, a time-displaced Jean Grey from Earth-TRN240 was trying to find a plain and simple life on Earth-616 reality, gets approached by Storm to join their team, which she declined given her history of ending up dying every time as Marvel Girl no matter what. 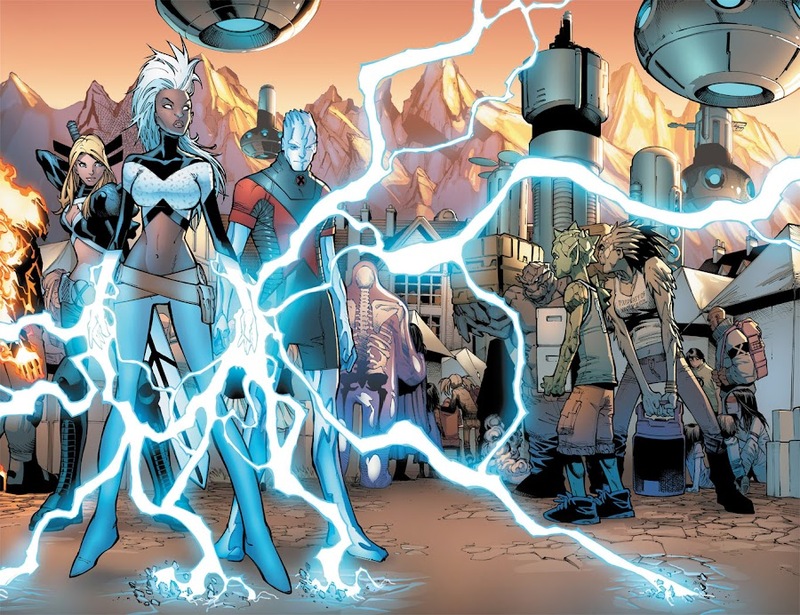 When Icaman tries to talk to Jean to change her mind and failed, Ororo offered her to take a look into her head using the latter's psychic powers. 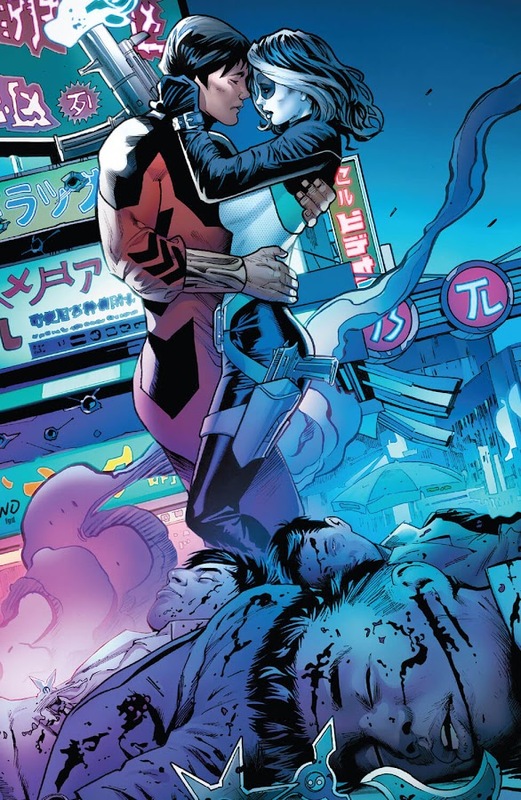 She realizes that the outbreak of M-Pox caused by Terrigen Mist is not only killing their kind but also sterilizing them from ever to grow in numbers again and it can mean the end of the mutant race. Mutant sorceress Illyana Rasputin aka Magik took it upon herself to scout throughout the whole world seeking for any mutant refugees in dire situation to save them from angry human mobs triggered by current mutant hysteria and brings them all back to X-Haven, the current headquarters of X-Men situated in magical dimension of Limbo. Illyana goes to New Delhi, India, to save a family and their young mutant girl affected by Terrigen Mist from a tough crowd. She eventually rescued the family before taking a hit and brought them back to Jean Grey School For Higher Learning for safety. Magik then heads straight to Lake Baikal, Russia, looking for her elder brother and former X-Man member Colossus to recruit him back to their fold during this crisis while their old pal Nightcrawler was being chased by a newly reformed group of Marauders. Storm and Iceman were astounded to discover Old Man Logan is walking among them when he mistakenly attacked Cerebra, recently restructured within a Sentinel body by thinking it as an enemy. 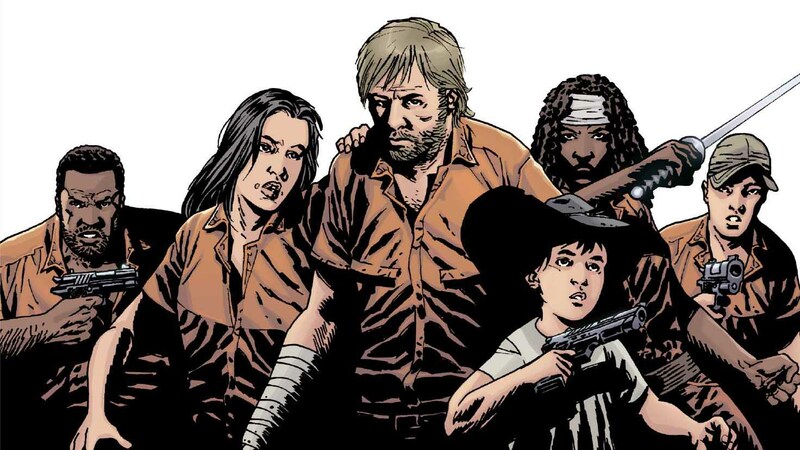 The old friends catch up quick about their current state of affairs before the young Jean finally meets with Logan to convince and bring him back to action. Colossus and Magik investigate the disappearance of Nightcrawler only to run into the new team of Marauders and then attacked by someone Sinister. As soon as Illyana Rasputin fell, the magical defenses that she placed to defend X-Haven from Demons of Limbo attacking the sanctuary, collapses and the X-Men got a huge mess on their hand to clean. Here is your links to buy "Extraordinary X-Men – X-Haven" from Marvel Comics in issues on Amazon. 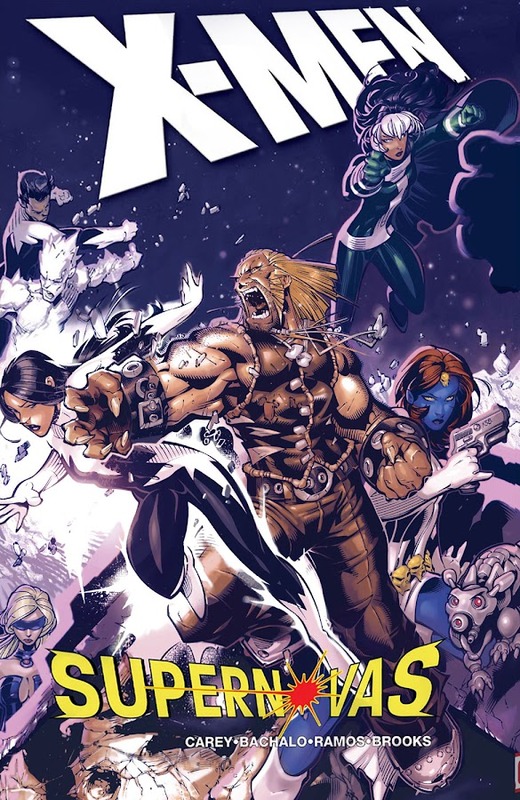 Here is your link to buy "Extraordinary X-Men – X-Haven" from Marvel Comics on Amazon. 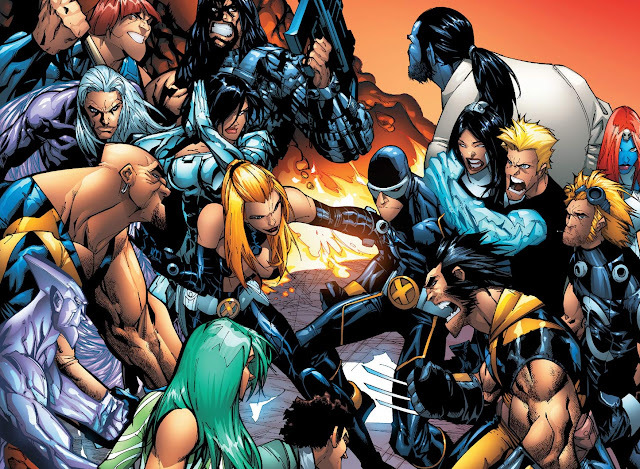 The trail of mega crossovers and Universe shattering events like "Schism", Avengers Vs. X-Men and Infinity led to current status-quo of mutantkind in Marvel Universe. The death of Cyclops in Battleworld fighting God Emperor Doom during Secret Wars made it worse as the team is now scattered and disoriented without a leader to follow. Comic-book writer Jeff Lemire (Thanos – Thanos Returns, Thanos – The God Quarry) and artist Humberto Ramos (Age of Apocalypse, Amazing Spider-Man) has teamed up to draw a new line for the beginning of a brand-new starting point with the story “X-Haven”, collecting issue #01-05 from the newly launched ongoing series. 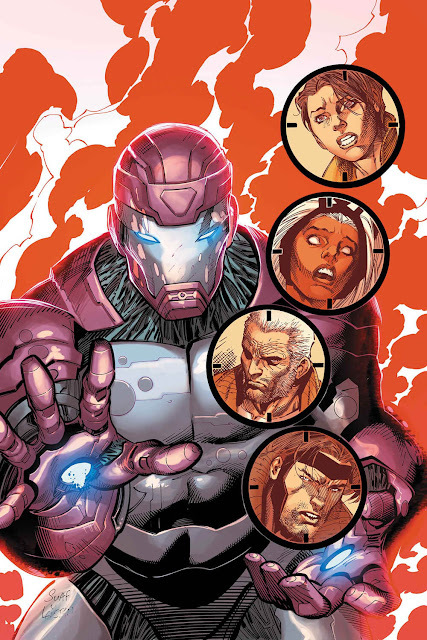 As a part of the "All-New, All-Different Marvel" event, the new Extraordinary X-Men monthly series offers a fresh spot for new readers while also hinting back to the past events that leads to current affairs. One of the finest aspects of the plot was bringing together an alternate-reality Jean Grey with a time-displaced Logan for a new team. Then there was trouble in Limbo that needed to taken care of, a new group of Marauders abducting X-Men members, severed tail of Nightcrawler, strange apparition of Professor X and someone from the shadows plans something sinister about their future. 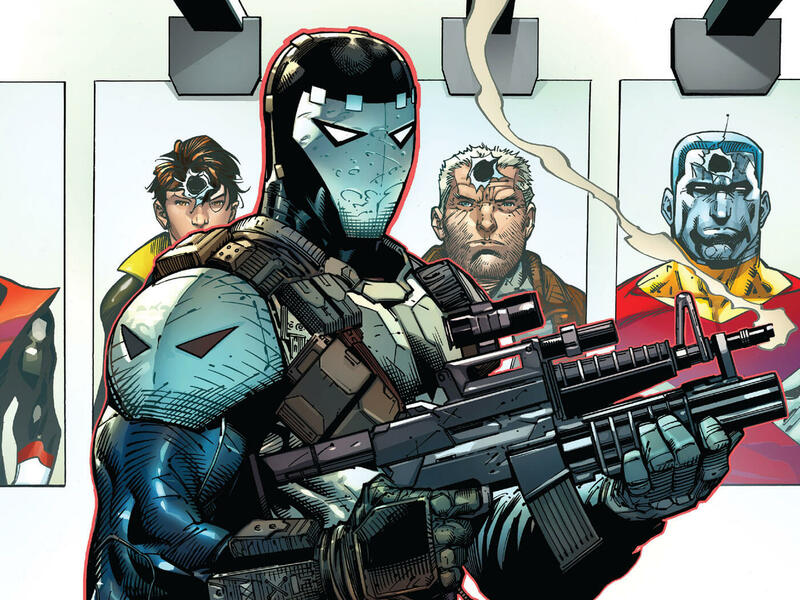 The series serves the next arc as a tie-in with "Apocalypse Wars" crossover event. Rogue is mentally troubled after she has recently dealt with the murderous alien entity known as Hecatomb and absorbed the consciousness of eight billion people along with it. All of the members of the team are re-grouping now and Emma Frost tries to help Rogue out by managing the trapped minds inside her. Omega Sentinel suddenly starts acting weirdly and unexpectedly attacks Emma. It is later revealed that she was possessed by a digitized version of Malice. As Wolverine and Beast senses abnormalities in the mansion atmosphere, Lady Mastermind reveals that she is manipulating their minds and allowed The Marauders to sneak attack on them. 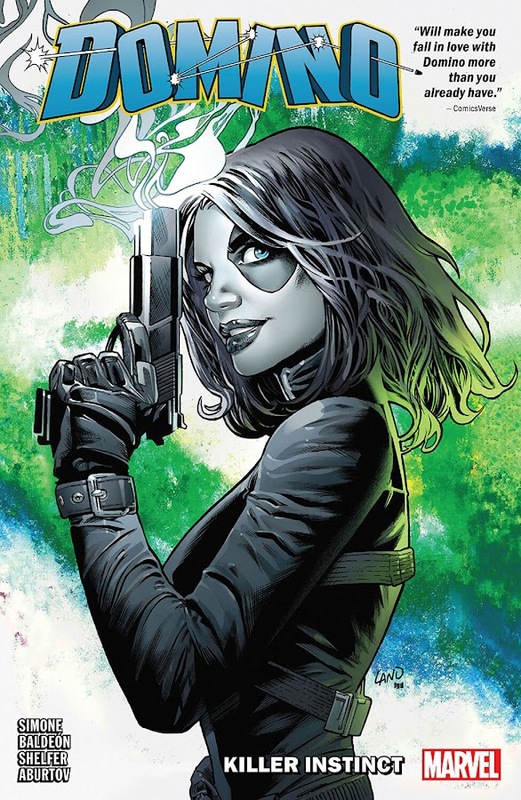 In the heat of the battle, a betraying Mystique shot and fatally wounded up her step daughter Rogue. 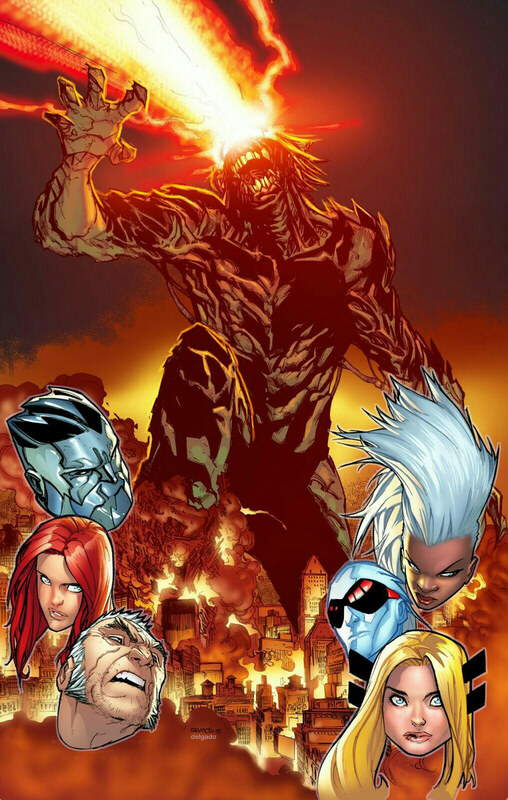 Other X-Men also soon fell under the attack by The Marauders, with Mystique on their side and the X-Mansion is blown. This is perhaps one of the bad fights for the X-Men, as most of them are injured from their previous battles or in shock at the discovery of their recent enemy. Cable is then ambushed by former X-Man and Apocalypse’s Horseman of Death, Gambit and Japanese mutant Sunfire, who attacked him brutally for almost no seeming reason. Cable managed to survive the initial heat of their combine attack and stops Sunfire but soon disappeared from the scene. The Marauders meets Mister Sinister in his secret hideout with the wounded body of Rogue, which the villain may have any use for. For more information on X-Men – Blinded by the Light storyline, you can check out the link below. 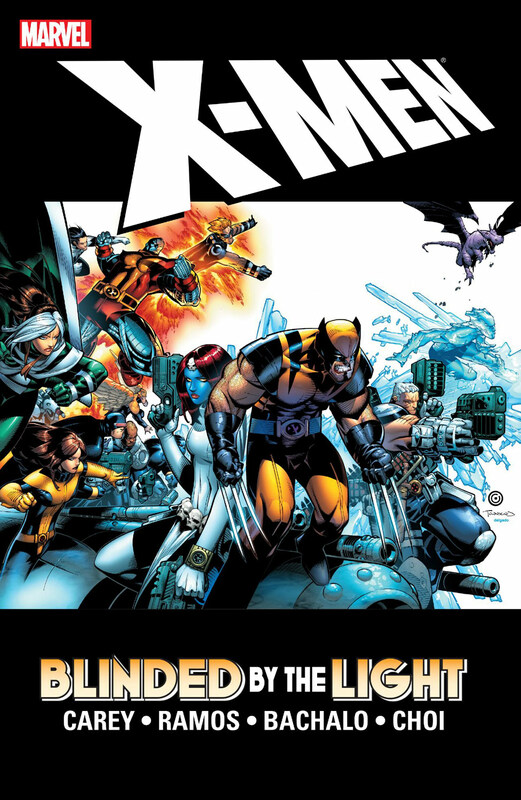 Here is your links for “X-Men – Blinded by the Light" storyline from Marvel Comics in issues. Here is your links for “X-Men – Blinded by the Light" storyline from Marvel Comics. The new age X-Men storylines are getting better with the creativity of writer Mike Carey (X-Men – Endangered Species, X-Men – Supernovas) and to turn this one into one of the epic books, Marvel Comics hired two cartoon styled master artist, Chris Bachalo (Captain America – Homeland, Dark Reign – The Sinister Spider-Man) and Humberto Ramos (Amazing Spider-Man, Superior Spider-Man) in 2007. The story starts with the milestone issue #200 of the X-Men comic series and ended up at issue #204. It is a story filled with action and mystery which led directly to the crossover event Messiah CompleX. The feral mutant Sabretooth is haunted by a group of super powered villains with Spanish codenames, only known as The Children of The Vault. They are neither human, nor mutants; a completely different kind with uncanny powers and abilities superior to the others, make them believe that they are the only species with the right to exist on Earth. So, they are on a mission to destroy every other life form on Earth. The Children wants to kill Sabretooth just because he knows of their existence but he managed to barely escape from them and came to the mansion of X-Men for protection from them, who were also framed for the destruction of a city of Mexico to the mass media by the Children of The Vault. Next, The Children raids a S.H.I.E.L.D. facility and after killing all the operatives present on the base within minutes, they recruits a captive Northstar and his sister Aurora after brain-washing and amplifying their power. The twin raid an attack on the X-Men all of a sudden and in the initial impact killed Iceman. 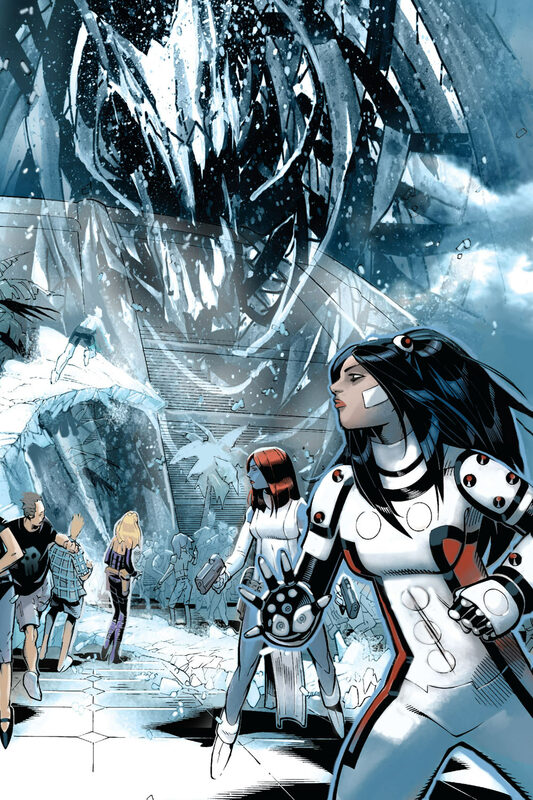 They came here for one purpose and that is to kill Sabretooth. The twins were eventually subdued by the efforts of Mystique, Rogue and Cable. After interrogating Sabretooth, Cable learns of the existence of these new threats and that put the X-Men on The Children’s hit list too. As the twin has failed them in their purpose and their cover is blown, The Children of The Vault decides to engage the X-Men directly. Meanwhile, an deadly extra-terrestrial threat called The Hecatomb is accidentally unleashed upon the world by Lady Mastermind. Here is your links for “X-Men – Supernovas" storyline from Marvel Comics in issues. Here is your links for “X-Men – Supernovas" storyline from Marvel Comics. 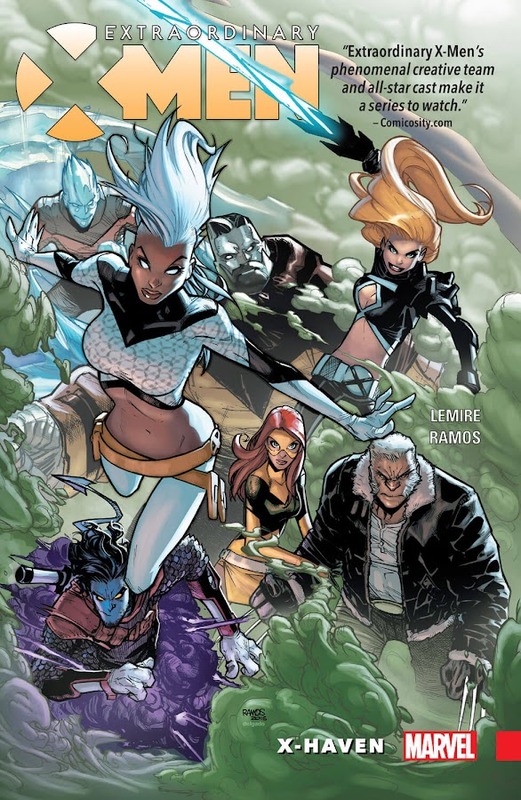 "X-Men – Supernovas" is a new turn of X-Tales for the fans of the new generations and to do that job with excellence, Marvel Comics brought up writer Mike Carey (X-Men – Manifest Destiny, X-Men – Messiah CompleX) and the talented penciller Chris Bachalo (Captain America – Homeland, Dark Reign – The Sinister Spider-Man) on board. This creator duo sparked their magic and the story is a great hit! 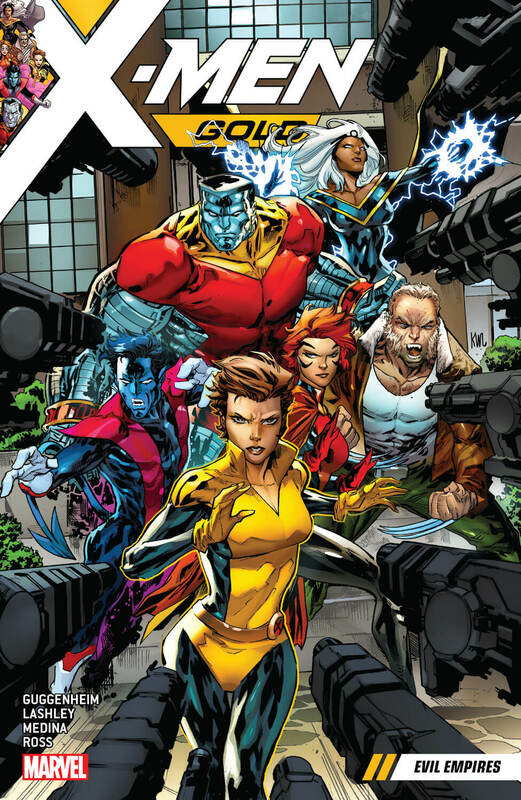 This storyline is released on 2006, in the second monthly ongoing volume of the X-Men comic series and ran for six issues from issue #188-193, creating scope for many promising development for future stories featuring the related characters like Cannonball, Omega Sentinel and Mystique.